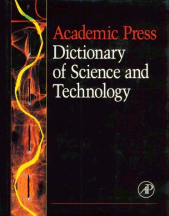 Contains complete, up-to-date definitions for all areas of science and technology. The definitions are clear and accessible to the nonspecialist, yet they provide all the technical information that the specialist needs. Entries range from large general fields, such as Medicine, to newer, highly focused fields, such as Chaos.